University of Nottingham > Blogs > Mint Imperials > Uncategorized > On this day in AD 19 Germanicus died at Antioch. On this day in AD 19 Germanicus died at Antioch. Germanicus was born in 15 BC. He was the son of Drusus the Elder (brother of the future emperor Tiberius) and Antonia Minor, youngest daughter of Marc Antony. He was a very popular member of the Julio-Claudian dynasty, and apparently a favourite of Augustus himself. Indeed, he was married to Agrippina the Elder, granddaughter of Augustus. Furthermore, when, in AD 4, Augustus adopted Tiberius as his son and intended heir, he obliged Tiberius to adopt Germanicus as his son. The plan seemed to be that Germanicus would eventually become emperor. His adoption into the Julian clan led to a name change: he became Germanicus Julius Caesar. His power and popularity would only grow. Between AD 7 and 9 he served in Pannonia under the command of his uncle Tiberius. He served again in Germania in AD 11, before being chosen consul for AD 12. In AD 13 he commanded the legions in Gaul, pushing back an invasion of Germanic tribes and was acclaimed imperator (general) by the troops. In AD 14 Germanicus was given sole command of the legions on the Rhine. Germanicus’ reputation as a capable general and his popularity with the troops would turn out to be vital. Upon Tiberius’ accession, there was a mutiny amongst the thousands of legionaries stationed on the Rhine, in response to their terms of service. Germanicus was able, with difficulty, to quell the rebellion and thereby proved his loyalty to the new emperor at a time when some were muttering that Germanicus would be a better choice. Later in AD 14 Germanicus led these same troops on a three year campaign across the Rhine. The aim was to avenge the massacre at the Battle of the Teutoburg Forest in AD 9, when three legions and their commander, Quinctilius Varus, had been wiped out by an alliance of Germanic tribes led by Arminius, chief of the Cherusci. Roman pride would thereby be restored. There were numerous battles during the successful campaign. In AD 15 he attacked the Bructeri and recovered the standards (to which the Romans attached great and grave importance), which had been lost by Varus seven years earlier. Perhaps the most notable was the Battle of Idistavisus in AD 16, where Germanicus and his legions faced Arminius with an army of over 50,000 warriors. The battle was a decisive victory for the Romans who inflicted heavy casualties amongst the barbarians. For his victory over Arminius, Germanicus received a triumph in AD 17. In AD 18 Germanicus was consul for the second time. In addition, Tiberius sent him to govern the eastern provinces, granting him maius imperium (supreme control) over that portion of the empire. But it was here that things began to turn sour. It seems that Tiberius mistrusted Germanicus and resented his popularity. He thus dispatched a certain Gnaeus Calpurnius Piso to govern the province of Syria. His role was ostensibly to assist Germanicus, but in reality he was there to keep an eye on him. Germanicus and Piso frequently butted heads and relations between the two deteriorated dramatically when Piso cancelled the various provincial arrangements Germanicus had made in the east. In response, Germanicus ordered Piso to quit his province, a demand Germanicus had no power to make. In the midst of the feud, Germanicus suddenly fell ill at Antioch. He died there on 10 October, AD 19, aged only 33, of unknown causes. It seems that he was himself convinced that Piso had poisoned him, and the rumour quickly spread that it was ultimately Tiberius’ doing. 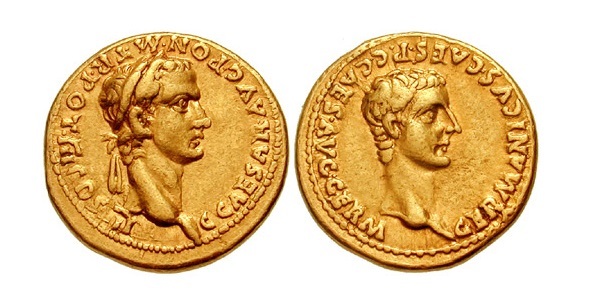 In an attempt to quash these rumours, Piso was put on trial for Germanicus’ murder in AD 20, but committed suicide before the end of the proceedings. And as for Germanicus – while he never became emperor himself, his son Caligula, his brother Claudius, and his grandson Nero would all come to occupy the imperial throne.